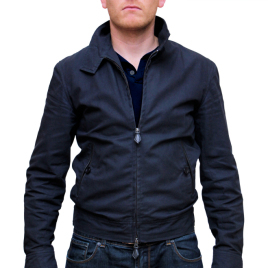 I searched millions of websites for a jacket which looks similar to daniel craig's one in quantum of solace but I've knew all the time there could be no better choice than magnoli's quantum jacket! It fits perfect, the quality is wunderfull and the attention to detail is amazing! My new favourite jacket! Thanks a million, Indy!